It happens to all of us, whether we're artists or artisans (two decidedly different classifications) or amateurs. Sometimes we just get stale. We can't find our groove. The juices aren't flowing. We freeze up. For those of us who build with words, we call it writers' block -- and it is the scariest, most frustrating sensation in the world. Other times we're plodding along just fine. Cranking it out. Meeting our deadlines. Getting the job done. And our work is fine. Just fine. Nothing special, nothing innovative, nothing earth-shattering. It's fine. If you're a writer and you ever find yourself in either of these two situations, it's important to keep your head about you. Your world probably isn't coming to an end. But you may, in fact, need something of a tune up. 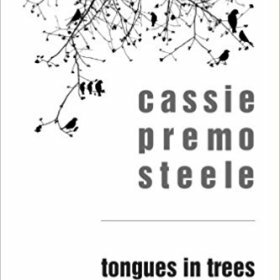 Luckily there's someone in town who has perfected the art of stimulating creativity -- poet, author, academician, and creativity coach, Cassie Premo Steele. Jasper has had the pleasure of both attending Cassie's creativity workshops and hosting them, so we're taking this opportunity to spread the word that another series of workshops will be taking place soon. It's nice to take a moment now and then and just tend to one's creative core. It's sort of like tidying up your desk -- it needs to be done anyway and, in all likelihood, it'll help you work better. Jasper recommends it. We're bold-faced copying and pasting info about Cassie's upcoming creative writing class below, as well as one of her lovely poems below that. If you decide to sign up for one of her classes, please tell her Jasper sent you, and let us know how it worked out. We'd really like to know. In October, I will be offering a lunchtime Creative Writing Class on Tuesdays from 12:00-1:00 at The Co-Creating Studio in the Forest Acres area of Columbia. We will cover the fundamentals of poetry, fiction, and creative non-fiction, and the primary focus will be to help you generate new material and stretch yourself to write with greater emotional depth and clarity. Also covered will be the fundamentals of revision and how to... submit your writing for publication. The cost is $100 per month to be paid at the first class of the month or $30/ per class. Class size will be limited so everyone can get individual attention, and spaces are already filling, so if you are interested, feel free to email me at cassiepremosteele@gmail.com or call or text 803 420 1400. For those who don't know me, I am the author of eight books, a Pushcart nominated poet, and a writing & creativity coach with two decades of university and community teaching experience. You can visit my website at www.cassiepremosteele.com for more. corners, sharp edges and the fear of splinters, cuts and wood. to awaken, I imagine the eggs still within me are pearls. than scarves and more precious than music playing in the dark. a look. The baby is there, and the book, looking down from the moon. beginning in me to the sound of this tune.